Set out on a quest for the Golden Fleece in High 5 Casino’s 290th game! Riches beyond measure for us all is out there! The gods will reward us with gold when we load the ship with the Golden Fleece! Join our quest in defeating the never sleeping dragon to capture the golden symbol of kingship. With the help of Medea, become an Argonaut and follow the leadership of Jason on a journey to fortune and glory! 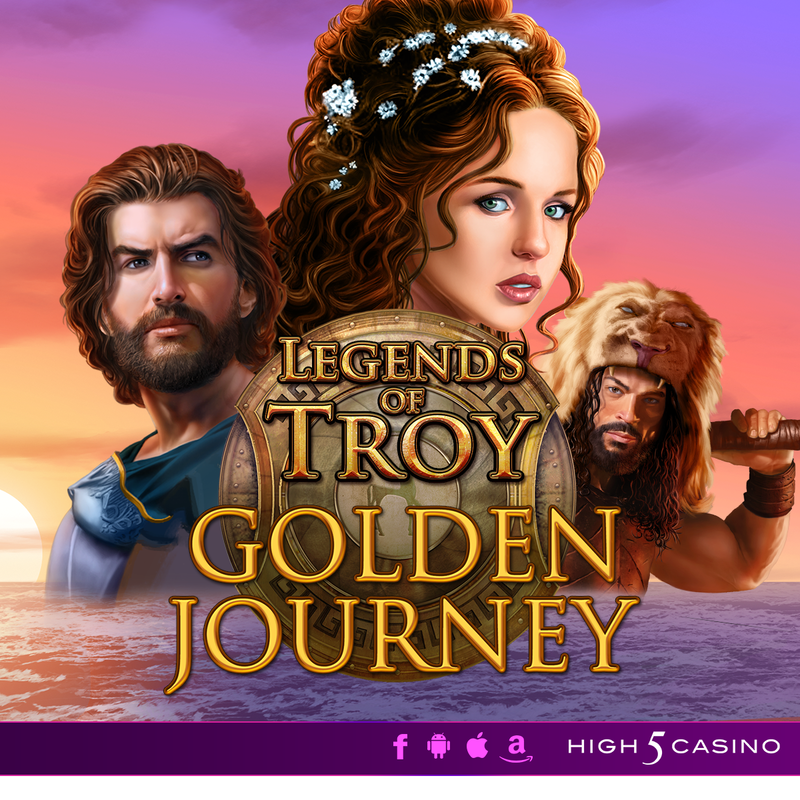 A journey to fortune and glory awaits us in Legends of Troy: Golden Journey! Capture the bountiful harvest of gold with Tumbling Reels and Clusterbucks! Comment in the conversation bubble located on the top right corner of your screen and let us know what you think! 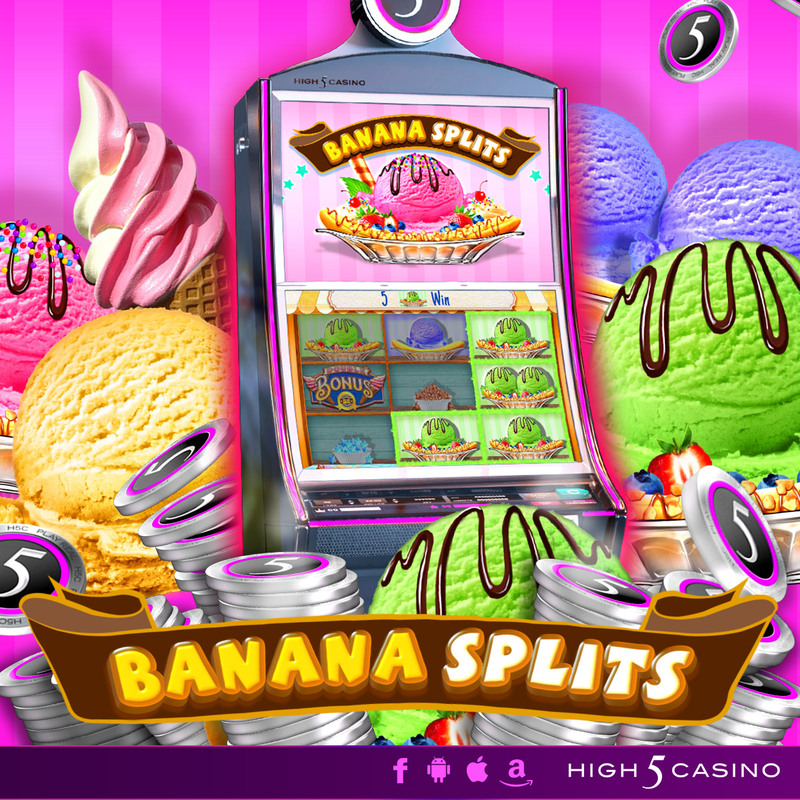 Make your way to the ice cream shop in Banana Splits! High 5 Casino’s 216th game arrives soon! Check the YouTube video below and get ready to enjoy scrumptious wins on the reels! Are you ready to satisfy your sweet tooth? Comment in the conversation bubble located on the top right corner of your screen and let us know what you think! Your favorite pixies are back to take you away in Secrets of the Forest 2 Pixie Paradise! High 5 Casino’s 214th game arrives soon! Ready for more mystical magical fun? The pixies from Secrets of the Forest are back in this must-play sequel and are here to whisk you away to their paradise. Close your eyes, let yourself be taken away, and enjoy the ride to the land of wins! With Tumbling Reels and Clusterbucks, euphoric adventures await you. Escape to paradise in Secrets of the Forest 2 Pixie Paradise! 3 by 5 reels. Tumbling Reels and Clusterbucks. Check the YouTube video below and get ready for mystical magical fun on the reels! Are you ready to escape to Pixie Paradise? Comment in the conversation bubble located on the top right corner of your screen and let us know what you think! Ever dreamt of having a home filled with gilded treasures or wished you could turn everyday objects into gold? Well, now you can in Glinda Glitters! With just a wave of a finger, Glinda can transform anything – even you – into gold. Stay on her good side and her golden treasures will become your rich rewards! 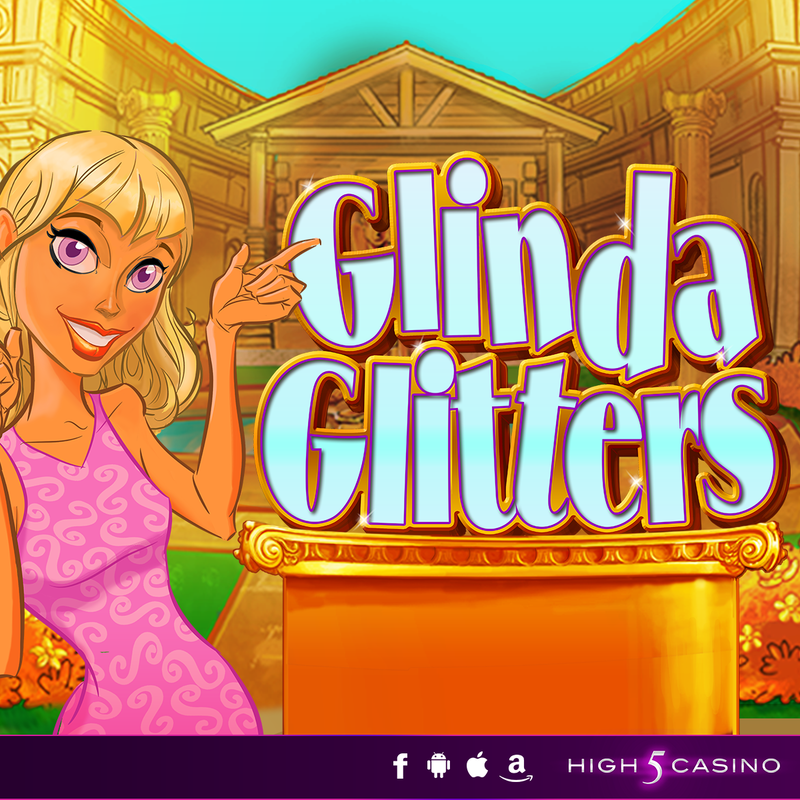 Glinda Glitters features Clusterbucks. Clusterbucks allow groups of matching symbols lead to big wins, even if they don’t start on the left-most reel like other slots at High 5 Casino. What do you think of Glinda Glitters? Comment in the conversation bubble located on the top right of the blog and let us know! The finely manicured lawns, gleaming cars, and opulent houses in this neighborhood do not tell the entire story. Beneath the pristine surface, drama lurks, waiting to bubble to the surface. Years of wicked schemes and treachery threaten to tear one family apart, while two desperate lovers struggle to overcome deception, betrayal and temptation. When life gets this intense, nothing can quell the Pasión y Fuego! Clusterbucks and an Enduring Bonus lead to big wins in this exciting game, which has a Spanish title and is therefore perfect for today. These gun-toting ladies are the most wanted outlaws west of the Mississippi. With a new set of warrants out for their arrest, they’re storming into town and looking for a showdown with the sheriff. Swing on through the doors of the drinking saloon, take a seat, and order yourself a whiskey. Because these sharp shootin’ ladies are riding through at high noon with business to settle, and you do not want to miss it. Tumbling Reels and Connected Lines create thrilling wins in this high-octane game! And the ladies all wear sombreros, which is why we’re recommending it today. Don’t worry, we’re aware that Mexico and Brazil are two very different countries, but we chose this slot because it’s a game about celebration. Carnaval in Brazil is like no other celebration in the world. Elaborate costumes, sizzling samba music, and non-stop fun, the world’s largest party is simply unstoppable. Let loose, take to the streets, and watch as the sights and sounds of Rio come to life! Split Symbols and Scatter Pays generate enormous jackpots that will make you want to keep the party going! What games are you going to play at High 5 Casino today? Comment on this post and you could be one of five players to win a High 5 Games tote bag! Be sure to include your name and email in the comments so we can contact you. Enchanted Beauty released to Shake the Sky yesterday, making it the 24th game available at the Facebook casino. 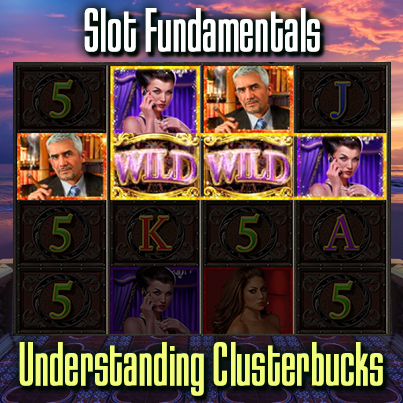 This brand new slot title features Clusterbucks and an Enduring Bonus, two features we encourage you to read more about in our recent Slot Fundamentals posts. The Enduring Bonus in Enchanted Beauty lasts until three Wild symbols are locked into place in the middle reels, so there are plenty of opportunities to win in the free games bonus! Enchanted Beauty tells the tale of a beautiful young woman who is trapped in the center of an intricate labyrinth, entranced by the magic of an evil warlock. She needs the single gold key to release her from the tangle in which she is kept. The maze around her is a fascinating world filled with colorful unicorns, divine fairies, a mythical centaur, and otherworldly creatures that are all trying to save her. We hope you find Enchanted Beauty to be just as magical and exciting as we do! What type of games would you like to see us make in the future? Check out Enchanted Beauty at Shake the Sky Casino today. Slot Fundamentals is a column we’ll be running occasionally to help our players better understand how our games work. This edition deals with Clusterbucks, which are an alternative to paylines and ways that determine wins in some of our games. If you’re reading High 5 Blog, you’re probably familiar with paylines and ways, but you might not have heard of Clusterbucks, one of the latest gameplay innovations from High 5 Games. In a Clusterbucks slot, groups of matching symbols lead to big wins, even if they don’t start on the left-most reel. But how exactly do Clusterbucks work? A Clusterbucks win occurs whenever four or more like symbols are found adjacent to one another on the 4 x 4 grid – even if they don’t begin on the leftmost row – with larger clusters of symbols naturally corresponding to larger wins. Some players find Clusterbucks to be a more aesthetically pleasing and intuitive way to reveal the outcome of each spin, because they can immediately look for and identify symbol groupings, rather than searching through numerous paylines or the scattered consecutive symbols that constitute wins in ways games. Look for Clusterbucks in High 5 Casino game Pasión y Fuego and Shake the Sky game Golden Horse! We hope you found that helpful! Which slot fundamental would you like to see us explain in the future? Happy Chinese New Year! Ever wonder why each Chinese year is named after a different animal? According to legend, the Buddha once asked every animal to meet him on New Year’s Day. Only 12 came – the rat, ox, tiger, rabbit, dragon, snake, horse, sheep, monkey, rooster, dog, and pig – so he named a year after each one in attendance. Each year is said to take on traits of its animal, as are people born during that year. For example, individuals born during the Year of the Horse are considered cheerful, energetic, witty, and talented. Because apparently horses are witty. At Shake the Sky Casino we’re celebrating the Year of the Horse by unlocking the never-before-seen slot Golden Horse for all STS players! This visually stunning game was created in the style of the celebrated Chinese artist Xu Beihong, and features majestic horses practically leaping off the screen thanks to its immersive 3D animations. Clusterbucks and an Enduring Bonus will help you ring in the Chinese New Year by winning big! But that’s not all – we’re also giving all STS players $888 in free STS cash! Chinese culture considers eight to be one of the luckiest numbers, so you’re sure to land some serious jackpots! Try out Golden Horse at Shake the Sky Casino.